Today, on the way coming to Berlin, I was reading USA-Today in plane from 5 December about Condolleza Rice’s meeting in Islamabad about Mumbai case. 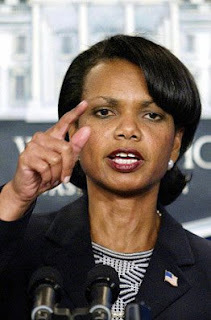 This report was saying, Rice satisfied with Pakistan’s readiness to peruse lead in the attacks in India that have sharply raised tensions between the two nuclear power. It is really funny to hear that after her talks with Islamabad, Pakistani leaders is committed to the war on terror and does not want to be associated with terrorism. The funniest part is that when Pakistan President Asif Ali Zardari told to Rice that the attack were a chance to strengthen efforts against terrorism in his country and promised to take “strong action”. Once again, look at this sentence: “Asif Ali Zardari told to Rice that the attack were a chance to strengthen efforts against terrorism in his country and promised to take “strong action”. As Afghan who is living in Pakistan neighborhood which is directly affected by its extremism and radicals Muslim groups, for me it is a joke. Pakistan supported Taliban and Islamic militants in the past and present and I am sure this will be turn to an internal enemy inside the country which may lead Pakistan to a civil war. Taliban was born in the time of Benazir Bhutto and ISI generals committed to support them; they look for their regional political benefits after Taliban still and after. 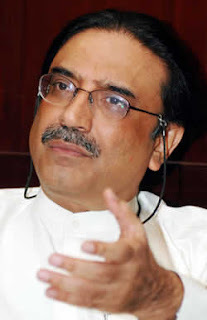 When Zardari says to Rice “this is a chance to wake up and to strengthen efforts against terrorist”, this means the attacks and several violent for the last two years which increasing caused lot of casualties inside Pakistan is nothing and this is the one he was struck that the Pakistan government should take “strong action”. For the last years, Pakistan was lying that terrorism does not exists there but now the United States realized where the terrorism and Taliban are getting supports and equipped. If Pakistan government doesn’t support Afghan government and US, the only way to get ride of these Islamic extremism in Pakistan is i think American missile could wipe them off. I hope Obama administration comes up with a better strategy towards liberating Afghanistan from the current situation.